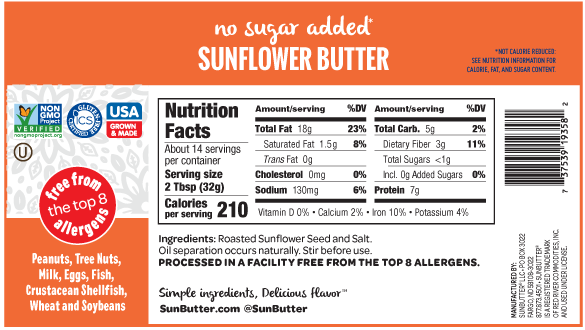 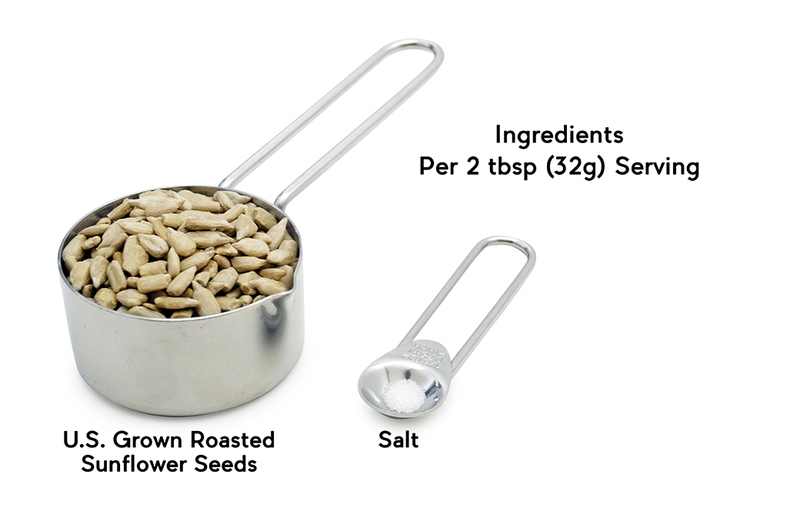 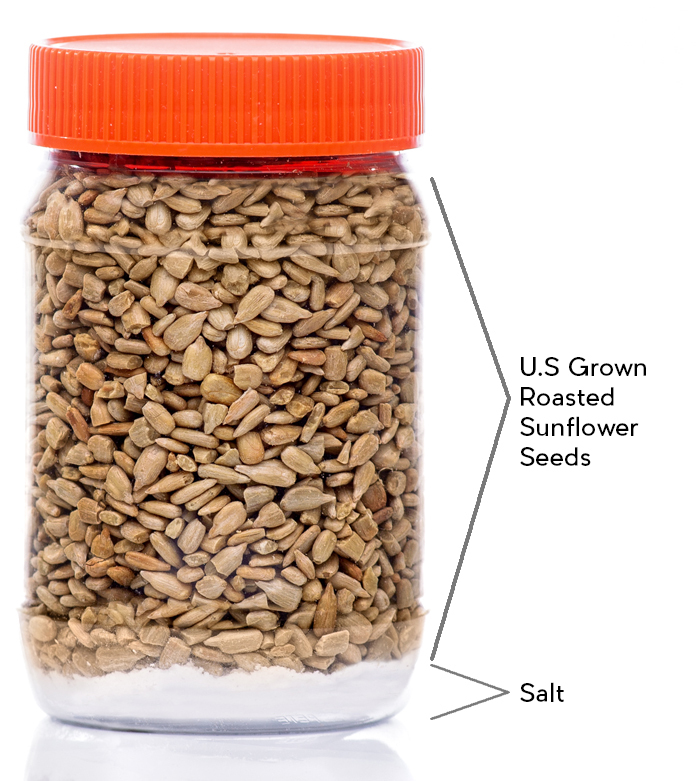 SunButter No Sugar Added is simply roasted sunflower seeds and a bit of salt (only 130 milligrams in 2 tablespoons). 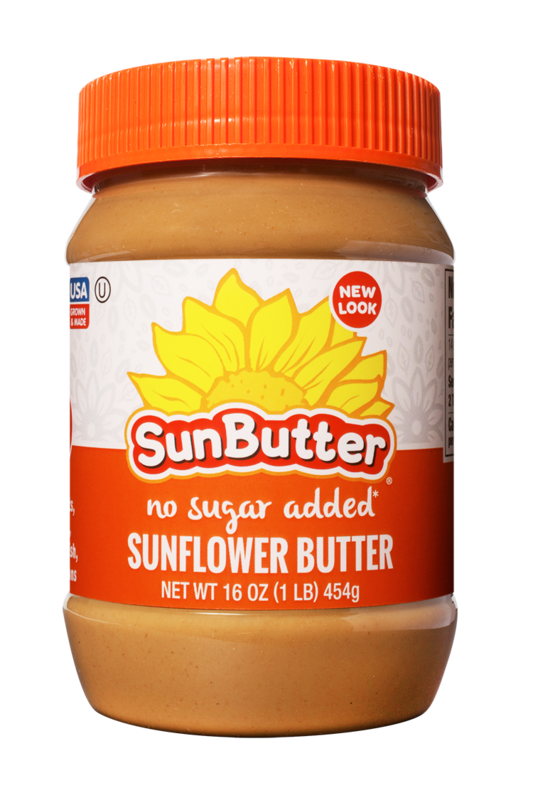 A healthy, safe and delicious all natural peanut butter replacement, it is great on sandwiches and with fruits and veggies. 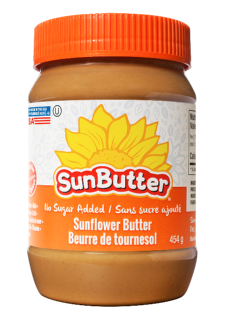 It’s perfect for recipes, since you can control the sweetness.